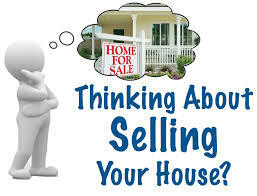 Can Executive Sellers Realty Sell My Home? Absolutely! We can sell your home. Executive Sellers Realty focuses on marketing and results. We outperform the competition and are committed to a quick sale of your home. For the First Half of 2015, our listings went under contract 31% faster than Charlotte-Metro averages. Here is the reality of Real Estate, agents are commodities and the only way to separate commodities are by price and service. We are not cut rate brokers so our services are the best in the industry. What separates us from other Real Estate firms is our commitment to marketing. Your home needs marketing and expertise to attract not just local homebuyers, but national and international buyers. We position your home to stand out from the rest by providing a dedicated website for your home as well as proactive marketing techniques to attract qualified buyers. In addition to providing a dedicated website for your home, we list your home on an additional 400+ websites. Who much does it cost to sell your home? Are sellers being taken advantage of by agents? Top 10 tasks to increase your homes value on a budget. Can You Sell My Home if it borders North or South Carolina? Yes, Consumers generally believe that since their home is within 10 miles of either South Carolina or North Carolina, their home will be listed in both North AND South Carolina real estate systems; however, this is incorrect. At Executive Sellers Realty we can maximize your exposure, by placing your home in both North Carolina and South Carolina real estate systems. ASK US WHY THIS IS IMPORTANT! !